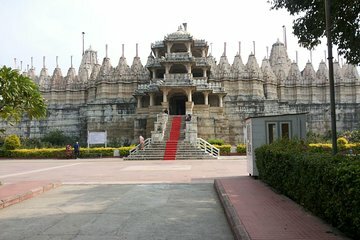 Visit the famous Jain Temple complex in Ranakpur with efficiency and ease on this private day trip from Udaipur. Make the 2-hour drive to Ranakpur in the comfort of a private vehicle before touring the 600-year-old temple complex with your guide and your private group of up to eight people. This tour includes all entrance fees, transportation, and lunch at a local restaurant.